The following excerpts are examples of clinical vocal techniques developed by Diane Austin. 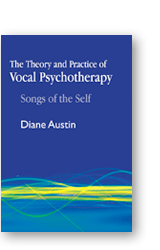 To fully understand the audio examples on this page, read Diane Austin’s book, “The Theory and Practice of Vocal Psychotherapy: Songs of The Self”. Please give the audio examples a few moments to load.